Dresden is a town in Lincoln County, Maine, United States that was incorporated in 1794. ​The town was originally settled in 1752 under the name Frankfort by French and German Huguenots, who were part of the first wave of French speaking immigrants to arrive in Maine, but were distinguished from later arrivals by their Protestant faith. William Shirley built Fort Shirley in the community at the same time Fort Halifax (Maine) was built. First called Frankfort, so that the new French immigrants could pretend to be German, the town was incorporated as Pownalborough in 1760, when Lincoln County was created in the Maine District of Massachusetts. Pownalborough included the Town of Wiscasset, which was soon set off on its own as the shire town of the county. 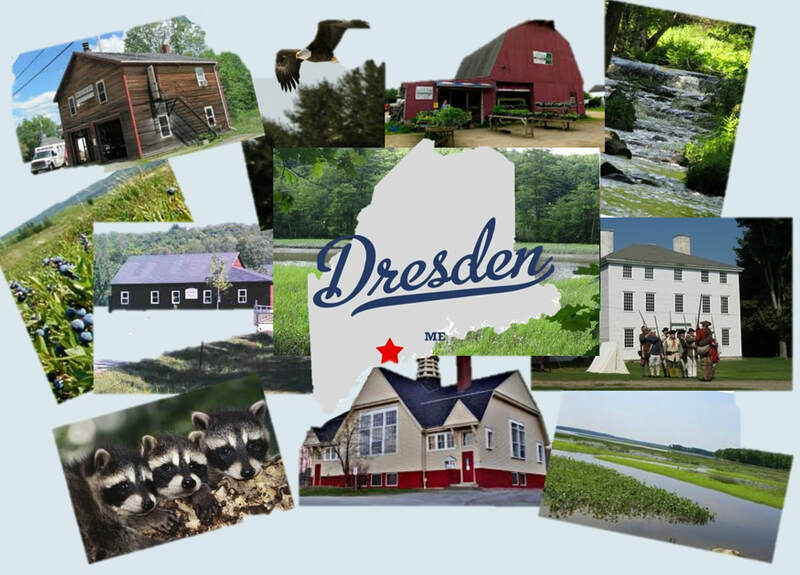 When the present territory was incorporated in 1794, Lincoln County Probate Judge Jonathan Bowman chose Dresden as the new name of the town because he liked the sound of it. The first Saturday of the Month from 9am till Noon. The Town Office is closed all legal Holidays.